Laura Tedesco is no stranger to jewellery. She grew up in a family jewellery business: the historic Venetian Jewellers in Hamilton, Ontario. An inquisitivie little girl with big dreams, Laura used to peer over her father's shoulder as he meticulously sorted through diamonds. At 14, Laura's mother passed away from brain cancer. In this difficult time, Laura suppressed many emotions, struggling to find meaning. It wasn't until a trip to Europe in her 20's where Laura rediscovered her love of jewellery and the powerful healing abilities of expression through art. Studying jewellery design in Florence, Italy through the Gemological Institute of America, Laura learned the artistry of traditional drafting techniques, theory and jewellery design. Her new knowledge in organically sketching her ideas lead Laura on a path of self-discovery, sketching new designs through the streets and landscapes of the Italian countryside. Finding beauty in everything, she created thought-provoking jewellery designs, born from the classical tradition, but distinctively her own. One of Laura's first jewellery designs was designed for herself. The custom design was built around a beautiful marquise diamond left to her by her mother. The key design element is two looped "L's" locked together in infinity. Representing the bond between mother and daughter, but also Laura's infinite love for her mother Linda, a source of inspiration and beauty. Freed by expression, captured by design©, Laura's work is inspired by life: dreams, travels, nature, emotions and experiences. With 19 years in the jewellery industry and her passion for custom design, she helps clients to express their own personal expressions through the re-styling of heirloom pieces or by creating one-of-a-kind, meaningful jewellery and engagement rings. 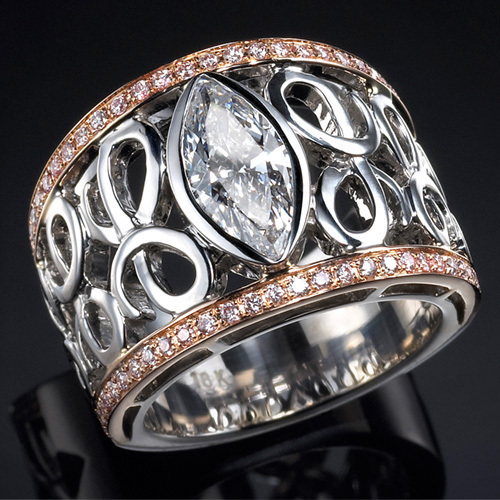 Laura's marquise diamond ring won first place in the 2010 Canadian Excellence in Design Competition. She currently owns and operates Laura Tedesco Jewellery Design, a beautiful design studio at 195 Locke Street South in Hamilton, Ontario. 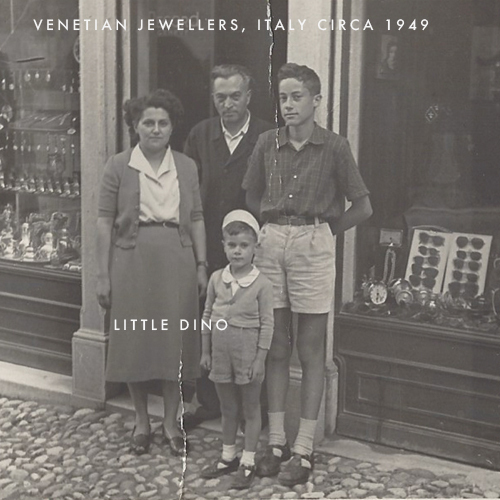 Dino Tedesco - of the historic Venetian Jewellers. Is now retired, but you’ll still find him helping out and consulting at Laura Tedesco’s studio. His 50 years of knowledge in the diamond and jewellery industry is a huge asset to the company and when he’s not in the studio you’ll find him hiking and golfing with his buddies, playing with his grandson Alexander or visiting his other daughter, Rachel and grandchildren in California. 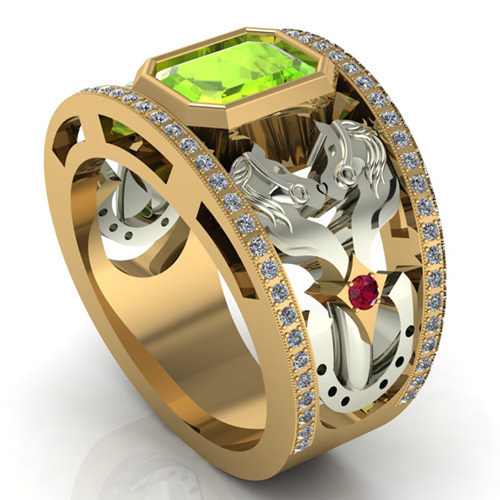 Hamilton based CAD (Computer Aid Design) designer John Eleftheriou (AKA Laura’s husband) joined Laura Tedesco Jewellery Design to be part of a growing family business committed to pushing boundaries in the art of crafting and designing jewellery. John is no stranger to the creative world. After graduating the University of Western Ontario with a BA in Film Studies and Political Science, John entered the world of Film and Television as a Film Editor/Writer, writing and editing stories for film, music videos and commercials. He continued to hone his storytelling skills by graduating from Humber College for Screenwriting and The Second City for writing and improvisation. After 16 years in the film industry, John wanted to take his skills in editing/storytelling and infuse them into the art of designing jewellery, and as the saying goes, "the rest is history". 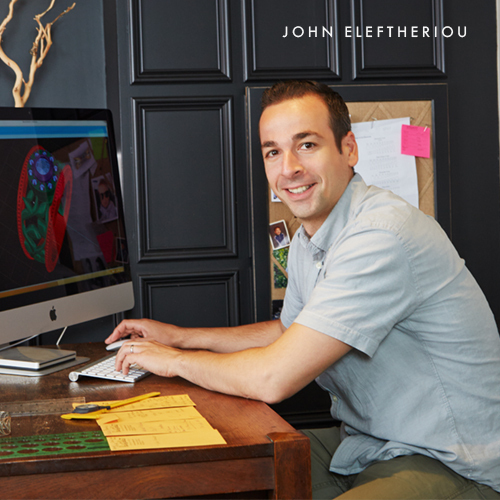 John started his new path by learning the trade, working closely with Laura, his father-in-law Dino Tedesco and studying CAD design at Gemvision Canada, giving him the knowledge to create stunning pieces of art for Laura Tedesco Jewellery Design. John’s vision is to create jewellery with meaning, inspired by the unique stories that are within all of us.